A second Democrat running for Pennsylvania's eighth congressional district is facing accusations that he violated campaign finance laws in the wake of his campaign announcement last week. 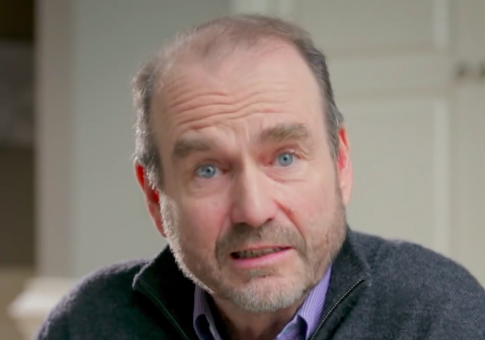 Candidate Scott Wallace may have broken Federal Election Commission reporting requirements when he released his announcement ad and filed his Statement of Candidacy and his campaign committee's Statement of Organization on January 24. A candidate must file his campaign paperwork within 15 days of either raising $5,000 or spending $5,000 on campaign activities, according to the Federal Election Commission. The National Republican Congressional Committee said Wallace's ad, titled "I'm Running," did not comply with federal regulations. "It took less than a week for Washington lobbyist Scott Wallace to break campaign finance laws in his effort to buy a congressional seat," Chris Martin, NRCC spokesman, told the Washington Free Beacon on Monday. "Like a typical out-of-touch millionaire, Wallace thinks the rules don’t apply to him." The NRCC said it believes the ad exceeded the $5,000 threshold and required a production time of longer than two weeks. "It’s extremely likely—if not certain—that the shooting and production of his video began before January 10." Justin Germany, whose company Outlaw Media makes political ads similar to the one Wallace released last week, said the production of a professional political ad can take several weeks. "This isn't the type of video you throw together overnight," the professional ad maker told the Free Beacon. "It's not produced on a whim. It's basically script driven based on a one-day shoot and narration. So, arranging the shoot and writing and approving the script could have easily been a two-week process." He said the Wallace announcement ad could have been finished in a week but likely took longer. "While the edit is pretty straightforward, just based on length, I'd say you’re looking at a multiday process of editing and approvals for it too," Germany said. "The fastest you could produce a video like this would be one week—but I wouldn't be surprised if the planning for this would be a 2-3-week process." Germany said, based on his experience, the Wallace ad "could have easily cost $20,000" to create. The Wallace campaign did not respond to a request for comment on the ad. Wallace is entering the Democratic primary against Rachel Reddick as both seek to unseat Republican incumbent Brian Fitzpatrick. Rachel Reddick has faced criticism of her own campaign filings. In October, she was also accused of violating campaign finance laws with her own announcement ad. "Rachel Reddick apparently thought the best way to launch her campaign would be disregarding federal campaign finance laws," the NRCC's Martin told the Free Beacon at the time. "The cost of her three-minute-long video shot and produced in high definition clearly exceeded $5,000 and should have been disclosed in a quarterly finance report." Reddick's campaign failed to secure the endorsement of the local Democratic party in the intervening months and has come under fire for having registered as a Republican and her sparse voting record. Wallace has now secured the endorsement of local Democrats but has been accused by Republicans of living primarily outside the district and buying the endorsement with a $25,000 donation. The primary will be held on May 25. This entry was posted in Politics and tagged 2018 Election, Pennsylvania. Bookmark the permalink.